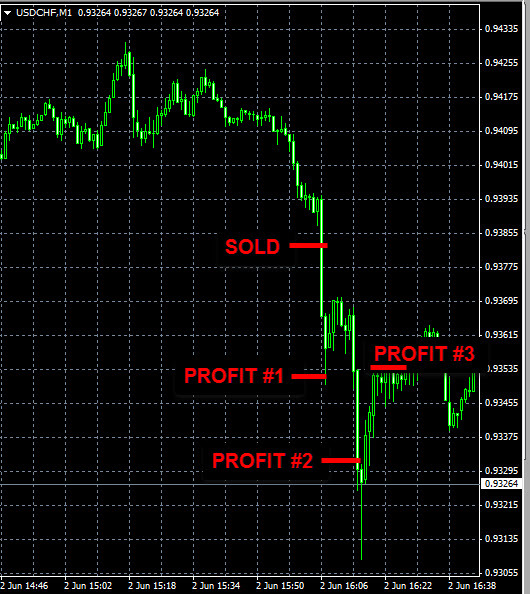 Post Tagged with: "day trading"
The total trading result for this week is +101 pips of profit. 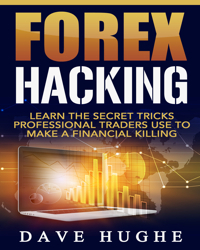 The USDJPY short trade made +35 pips of profit today. 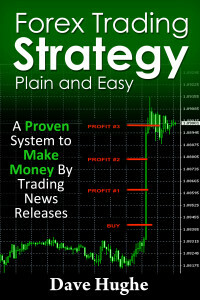 As you can see, so far it has reached the first profit target. 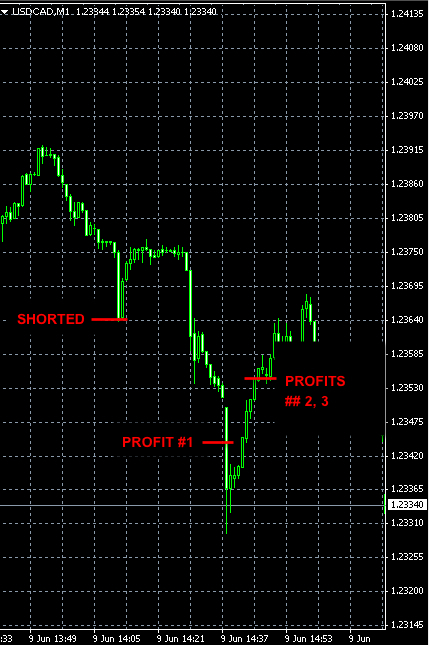 The stop-loss orders for the remaining units are placed at 122.78, which is the break even point for them. 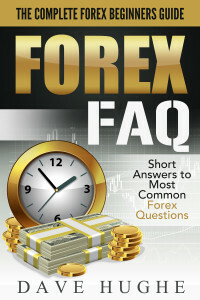 We bought EURJPY and sold USDJPY today. 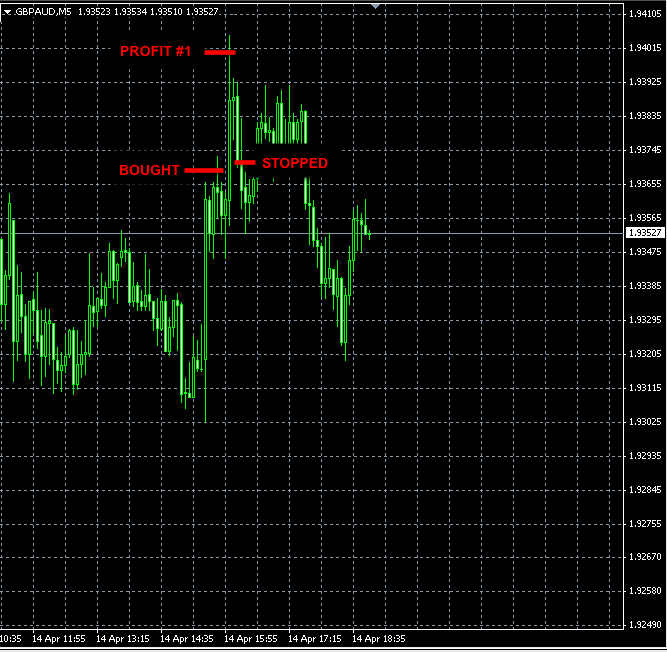 Closed our EURJPY positions with a small profit and USDJPY positions with a small loss. 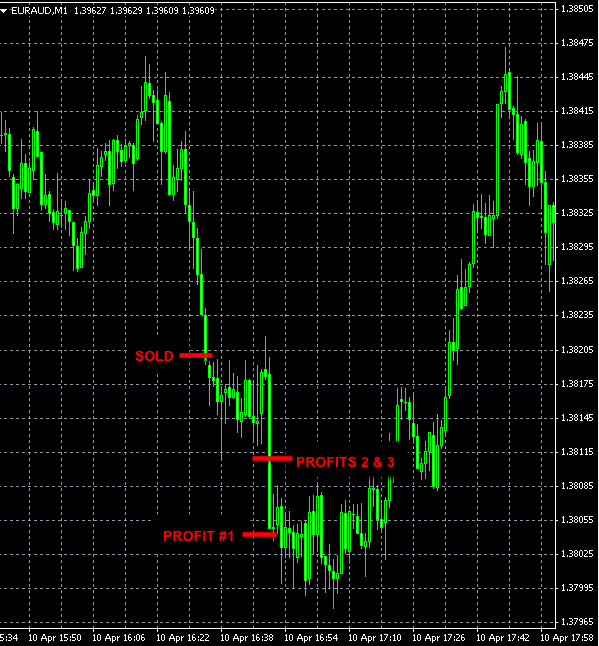 The net result is +3 pips of profit. Most banks in Europe and UK are closed today and apparently there is not enough volume to move the market in any particular direction. This was a quiet week before the long weekend with not much action in the markets. 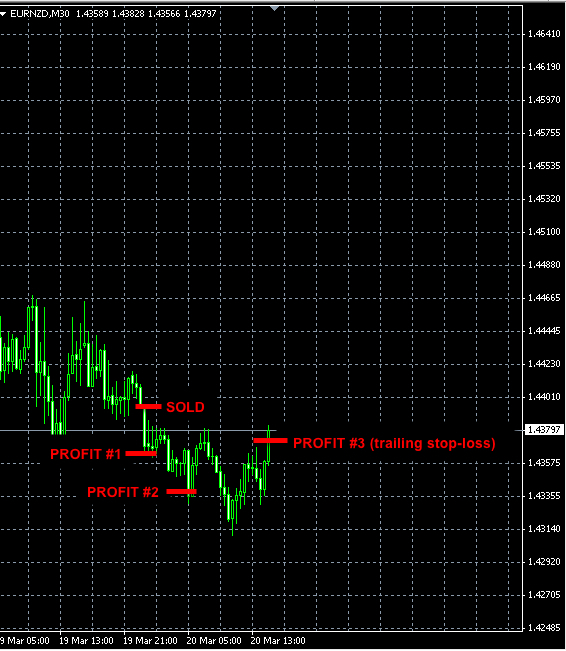 None of our signals were triggered on Wednesday and Thursday and we closed this week with the small loss of -7 pips.